A rainy sunday with cold wind gustst at the end of a super dry summer. No reason to leave the house and plenty of time to photoshop something. After fiddling around with a couple of projects that never quite get finished, I found a picture of a BMW E21 323i and immediately started modifying it. The most obvious choice would have been a BMW V8 engine swap, but because I wanted a USDM style theme on the vehicle, it made more sense to pretend that it is converted to a GM LS1 V8. The NASCAR inspired steel wheels give the car a more or less period-correct look and the overfenders add a more modern touch. The stance is a compromise between aggressive fitment and driveability – not too low, to remain functional. I removed the trim on the sides and the rear bumper and replaced them with two black stripes. The Alpina front spoiler, the rear wing and the diffusor create an aerodynamic package that has yet to be tested in a wind tunnel. This BMW E21 could be a daily driver with ample power and excellent gas mileage. Now, who wouldn’t want to have one? The Lamborghini Espada is a vehicle with a very different design approach and reflects the adventurous Seventies very well. 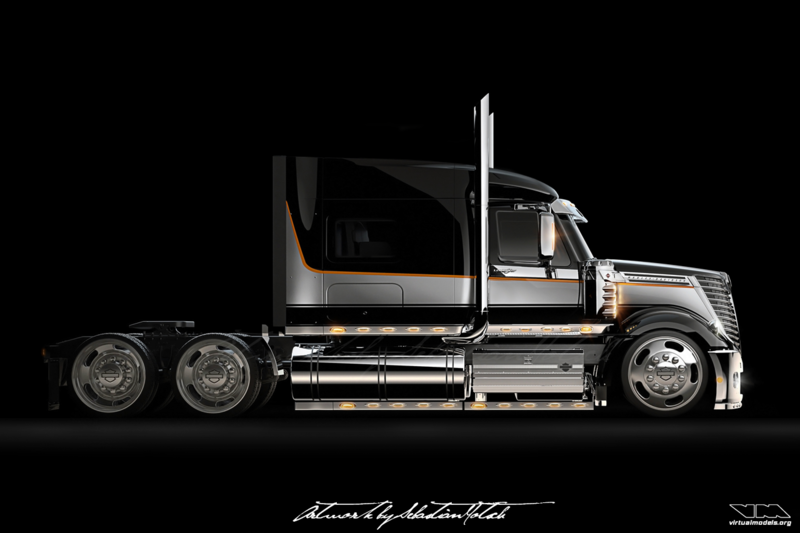 Nonetheless it is a beautiful or even sculptural vehicle with stunning details. Believe it or not… this Furgone Veloce version happened by accident. I just wanted to lower the Espada and remodeled the rear wheel arches to fit bigger diameter wheels. It looked horrible with the stock rear window. Consequently I had to design a new window and eventually came up with the idea to convert it to a panel van. 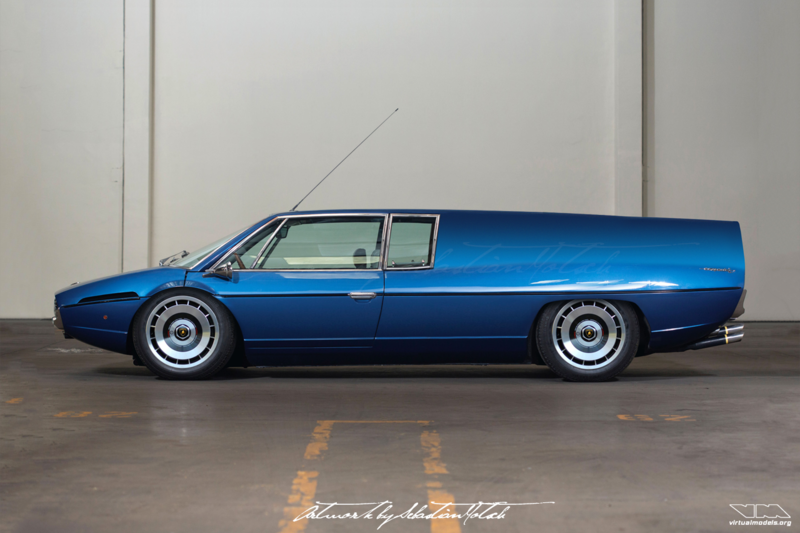 Similar to the Citroën CX Tissier shuttling newspapers, it might have been utilized to get the Gazzetta dello Sport to the chiosco quicker. If the diligent newspaper shuttle driver needed more space, he might have ordered a furgone veloce with even more space for cargo. This would have necessitated extensive drivetrain and frame geometry modifications, of course. A friend of mine posted my widebody Porsche 928 GTS on his instagram and told me the feedback was outstanding, demanding me to create more Porsche content. I told him that there are a quite a few Porsche photoshop chops in progress, but none of them close to being finished soon. 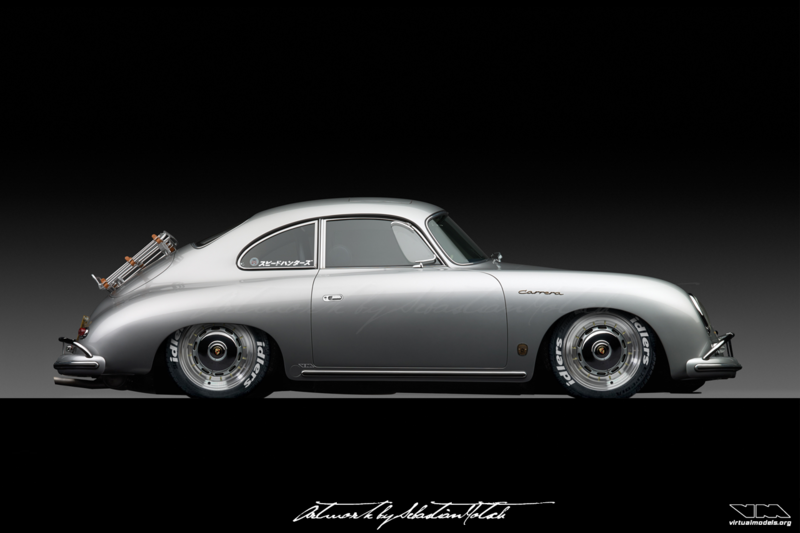 But anyway, he inspired me to chop this export-spec Reutter-bodied 356a 1600 GS Carrera (T2). I applied the usual recipe of lowering the vehicle substantially and giving it a set of custom wheels. They are multi-piece items based on the originals. To spice it up and give it a nice twist I replaced the door handles with Mazda Miata NA items, removed the bumper bars and added a couple of stickers. Why Japanese you might wonder? Because I bet there is somebody in the land of the rising sun that has both the funds and the will to make my virtual creation come to life in reality. Lately I had a phone conversation with a friend and he asked me what I think about Daihatsu. Due to my experiences with Daihatsu vehicles, I’m quite fond of the engineering, reliability and longevity. I drove my first Daihatsu Cuore (aka Mira) while studying in Karlsruhe, had a long-term hire Sirion while living in South Africa and even took that one to 4×4 trails without any worries or problems. Mind you, it was not the all wheel drive version. I have never driven a Materia, but it definitely is on my bucket list. I like the styling of the body very much, but the dashboard with the centered instruments doesn’t do it for me. 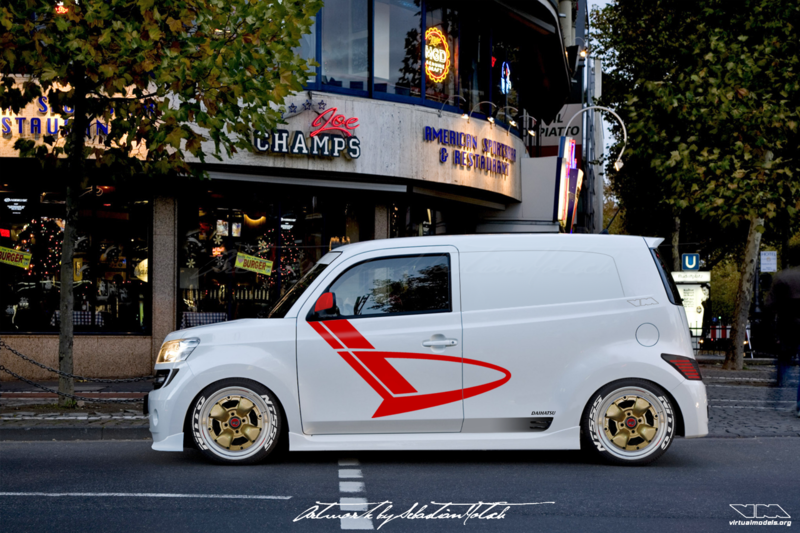 Researching the PCD and availability of tuning parts, I stumbled upon the Inden Design shop truck. Taking this concept a bit further is easy with photoshop. Remove the rear doors, convert it to a panel van and it’s done. Or isn’t it? To make the converted car look good, I modified the rake of the B-pillar and changed a few things here and there to get the proportions right. Once finished it received some spice: I lowered it, added vintage Gotti wheels and converted them to multi-piece with BBS barrels. Now, would you jump into this Materia to fetch some parts or deliver pizza? Inspired by lead sleds and other vintage customs, I decided to apply a tried and tested recipe to a vehicle nobody ever customized: the 1954 Panhard Dyna Z. 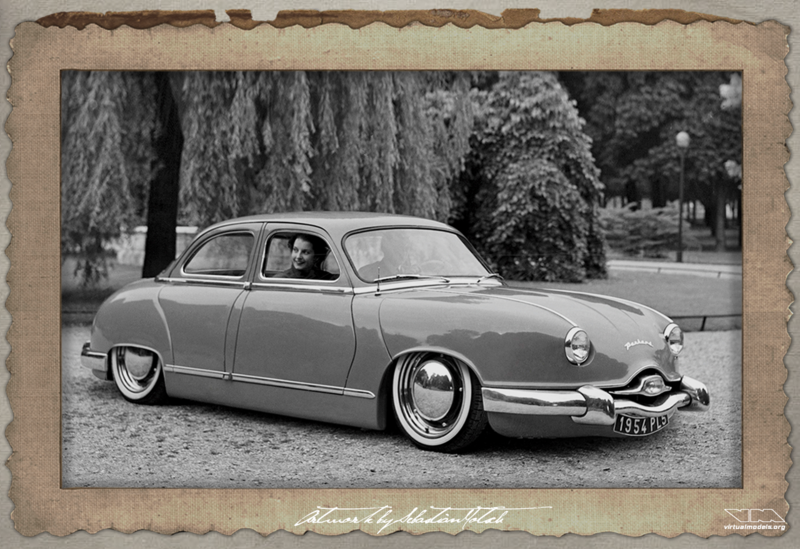 A top chop is a classic modification to alter the roofline and overall appearance of a car. It also reduces drag and therefore makes the car faster. Aerodynamic enhancements are especially important if adding more horsepower isn’t really an option. Mind you, this is a rather small vehicle and fitting an engine larger than the original 851cc engine would be a massive challenge. Not too many of the ~ 140.000 built are left and I doubt that many enthusiasts would enjoy seeing one of the few leftover Z cars “butchered” just for aesthetic purposes. However, nobody can object to modifying a couple of pixels. If you don’t like it, you might enjoy looking at the original picture instead. Happy New Year! The first photoshop chop in 2018 is an old project from years ago that I finally got around to finish now. 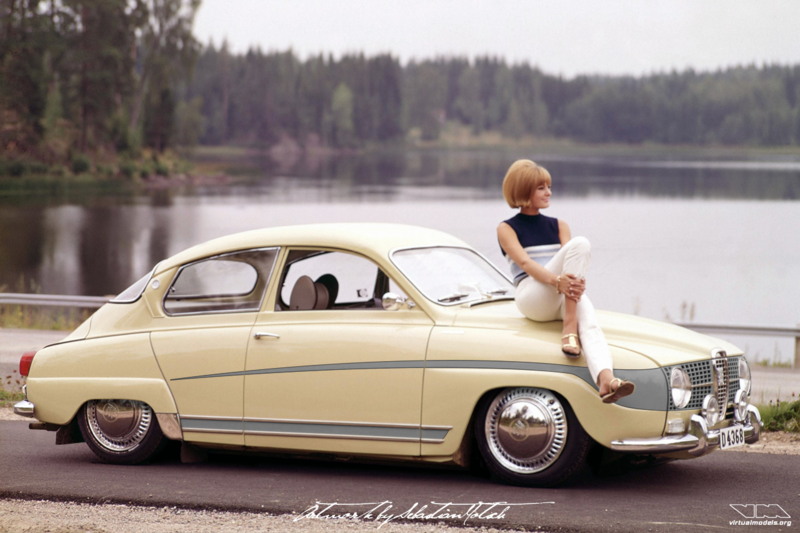 I found the original picture of the SAAB 96 and immediately thought this vehicle #needsmorelow. Lowering it and enlarging the wheels made it look better, but the little something that makes it special was still missing. In order to keep it period-correct, I used the natural lines and added some graphics. These days you would probably utilize vinyl stickers, but back then it would have been painted. 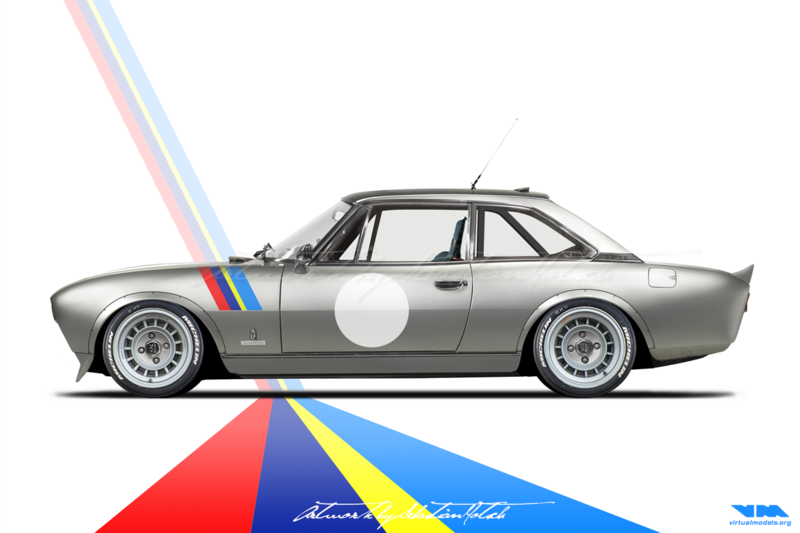 All in all a fun little project to prove that every vehicle has potential to look better. 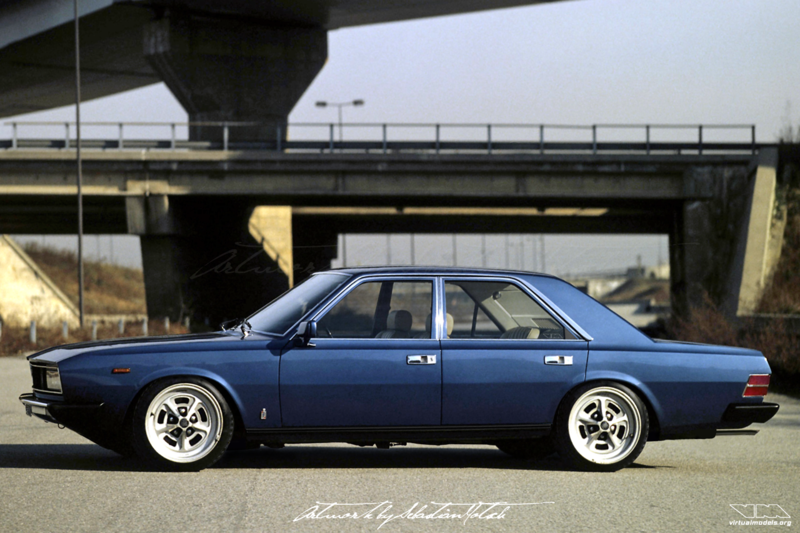 Nobody would have even the faintest doubt that the FIAT engineers created a lot of problems when they came up with the FIAT 130 and 130 Coupé, because these vehicles shared virtually no parts with other FIAT models from that period. Even the Aurelio Lampredi designed V6 engine is not identical with the machine used in the Dino. But nonetheless – the 130 Coupé is a beautiful automobile – and definitely more elegant than the somewhat baroque sedan model. The guys at the Pininfarina design studios must have had the same thought and created a four-door model based on the design of the coupé. 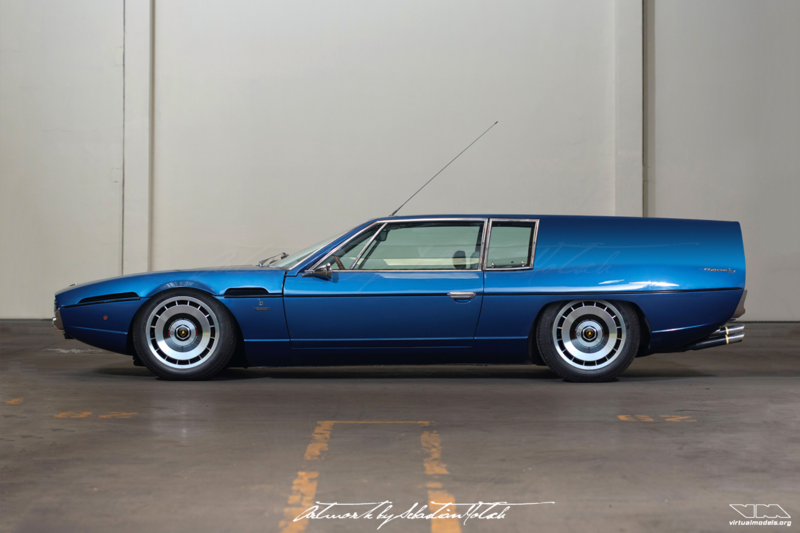 Quite a stunning vehicle with almost perfect proportions – but as I never liked the tall and narrow wheels of the Seventies I updated the looks with more modern wheels and tires. Larger diameter, lower profile and a substantial drop in ride height all of a sudden make the vehicle look more contemporary timeless. See the original image here for comparison.